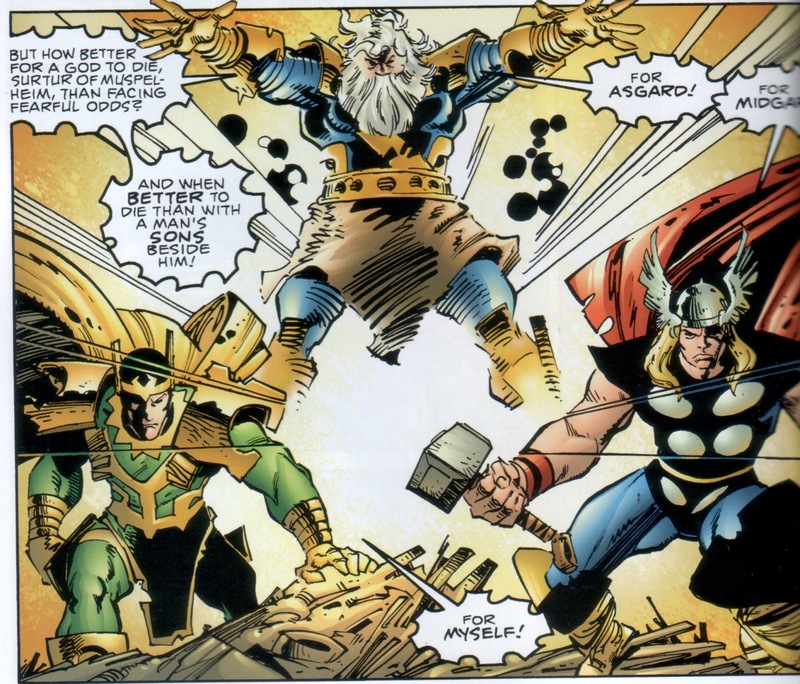 When Neil Gaiman included Odin, Thor, and Loki into the “Seasons of Mist” storyline for his seminal Sandman series, he scripted characters that were worlds different then their archetypes present over in Marvel Comics. Even though Walter Simonson introduced truer Norse myths into the Thor comic during his incredible 80s run on the Marvel series, Gaiman’s characters were wilder, grittier, and mayhap, more believable. Fast forward nearly thirty years later and Gaiman re-visits those Norse characters, speaking epics and whispering myths as they would have been recited centuries ago hyped with Gaiman’s unique, fan-pleasing style. Although he doesn’t. That hype appears as vague as the number of Odin’s children. Norse Mythology has Neil Gaiman presenting fifteen Norse myths, many of which are indeed new and exciting, especially for those fans who automatically equate the Golden Realm of the Gods with Chris Hemsworth and Tom Hiddleston. The book is light read and mixes tales of heroism and tragedy with honor, naivety, and humor, but all told in a straight, matter-of-fact way that is almost more of a YA style in language, and very unlike Gaiman’s past works. Granted, Gaiman does have the stories build upon each other in a close-to narrative continuity, but they are all quick, working superficially when many of these stories cry out for that deep, archaeological dig that is simply not present here. There is no insight to the metaphor present in the telling. No relational value in comparing these myths to Bablyonian or Judeo-Christian creation stories. 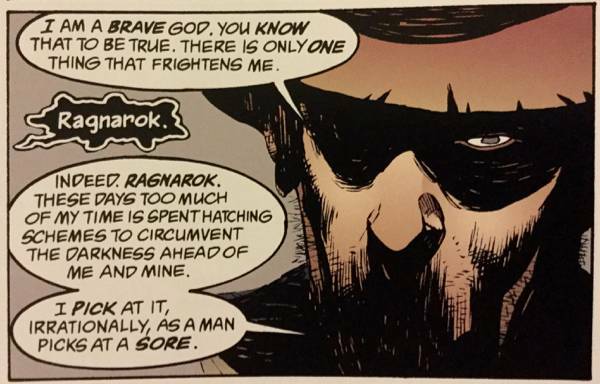 No transforming heroic plight for the gods, save for the end that is a beginning as told during Ragnarok. Verily, Gaiman does unearth these ancient tales in a fresh and entertaining way, making the book an enjoyable one, but he doesn’t quite capture the lightning one would expect with the majestic Mjolnir gracing the book’s cover.